RMC Recruitment 2018: Rajkot Municipal Corporation has released the official notification for 16 Field Worker, Insect Collector Posts in its Official Website that is rmc.gov.in. All qualified candidates can apply Online after reading the complete details of the RMC Recruitment 2018 for 16 Field Worker, Insect Collector posts. Our team freshersnow provides all full details like RMC Educational Qualifications, Job Profile, RMC job Pay Scale Details, Field Worker, Insect Collector Age Limit, Selection Criteria for Field Worker, Insect Collector jobs, important Dates, etc. Job seekers who are searching for the Gujarat Govt Jobs can apply for RMC Recruitment 2018 before the last Date, i.e., 29th August 2018. Recently Gujarat Government has issued RMC 16 Field Worker, Insect Collector notification 2018. This notification is for all candidates who had completed SSC, Metric pass, 8th pass in a reputed organization. So, don’t miss this chance to enter into the Gujarat Govt job Sector. It is the right time for every aspirant to fill up 16 Gujarat Field Worker, Insect Collector Application form 2018 @ RMC. Individuals who are eligible for this RMC Field Worker, Insect Collector Jobs 2018 can apply through the official website of Rajkot Municipal Corporation. Applicants need to apply for the RMC Recruitment 2018. Before applying for RMC Jobs aspirants need to check all the qualification details which are provided on this page. Therefore, we have gathered the qualification details in this article. Moreover, from the above table aspirants can find the official website of the RMC. The notification for the RMC Recruitment 2018 is released through its official website. In addition to this, we have provided the link to download the notification at the bottom of this post. Educational Qualifications for RMC Recruitment 2018 is candidates should have completed SSC, Metric pass, 8th pass from Recognized Board or University. Candidates who got shortlisted will get for Insect Collector post – Rs. 19,950 /- per month, Superior Field Worker post – Rs. 19,950 /- per month and Field Worker post – Rs. 16,624/- per month. 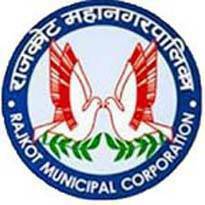 Open the Official Website Rajkot Municipal Corporation. Read all the details like eligibility, application fee, pay scale, etc. Click on the RMC Recruitment 2018 Apply Online Link on the Website. Fill all required details in the RMC Recruitment 2018 application form and upload the required documents and pay the application fee if Required. Later, check and confirm your RMC Recruitment 2018 Notification details before hitting the submit button. Finally, all details confirmed, then submit and take the printout of your RMC Recruitment 2018 application form.